Our day started out very chilly and damp but by the time we got to Fairbanks, it was 75 degrees so we put away the heavy coats and jeans and put our shorts on again! I hope the worst of the bad weather is behind us. 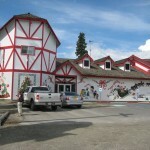 We stopped at the Delta Smoked Sausage Company in Delta Junction on our way out of town. They process all sorts of funky meats there and we tried some of them: yak (yuk), buffalo, elk, etc. We settled on some beef sticks (we chickened out on the more exotic stuff) and canadian bacon. 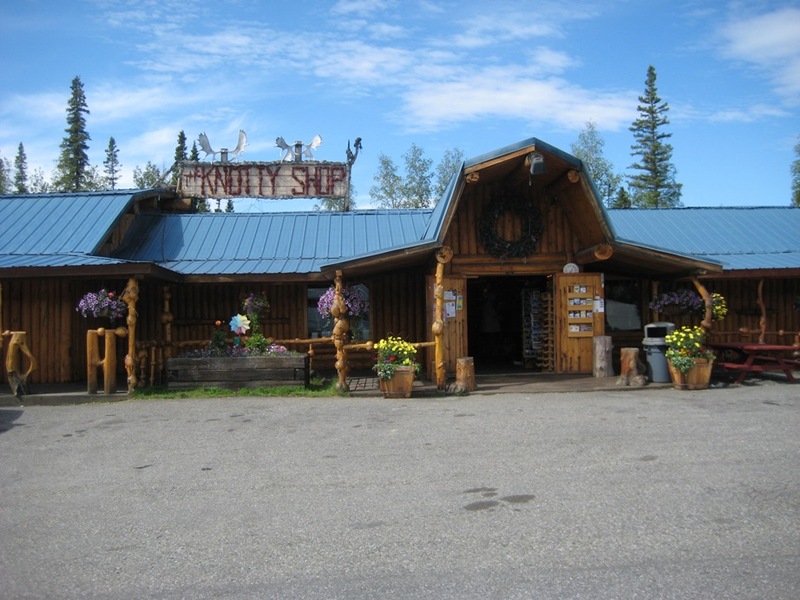 We stopped at the Knotty Shop near Fairbanks and picked up another gift or two. This was a really nice shop. 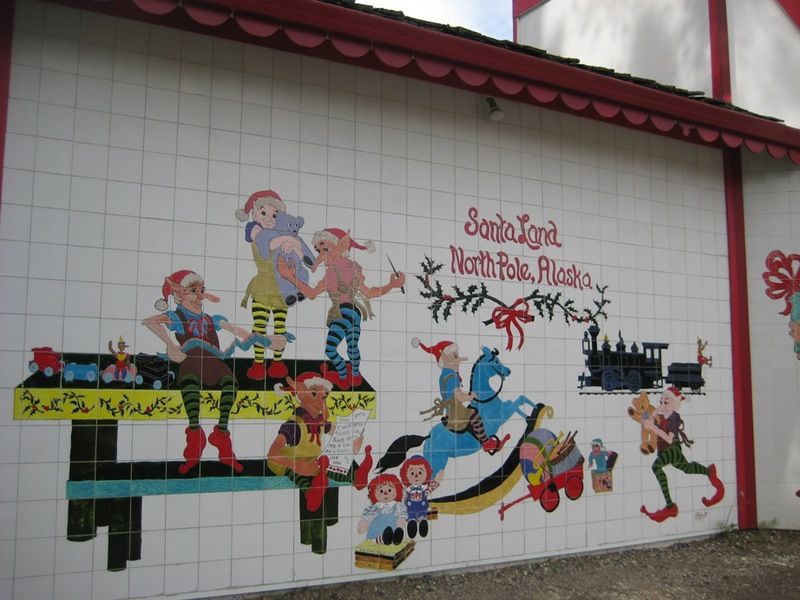 Then on to North Pole, Alaska. 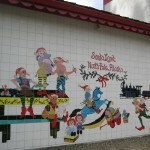 There is a military base at North Pole and our daughter-in-law’s cousin lives in the area. I gave her a call but she did not answer, so I left a message on her voice mail. She returned my call after work and we had a nice conversation. I asked if she had ever seen a photo of Olivia and she said her Uncle Tim (Catherine’s dad) sends photos regularly. 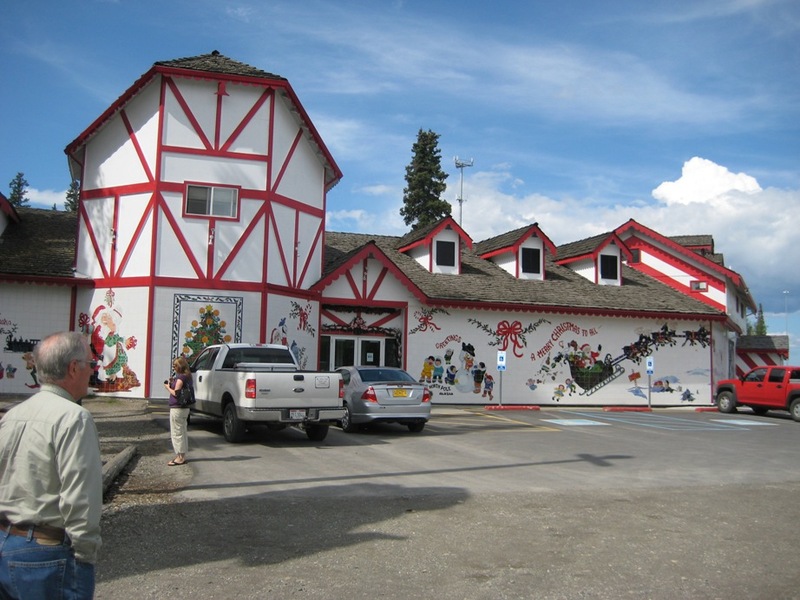 The Santa Claus House is a sweet little tourist shop and we arranged to have Santa send our granddaughter Olivia a letter at Christmas time. I know she won’t understand it this year, but just wait a couple of years more and she will understand a letter from Santa very well. Before stopping in Fairbanks for the evening we shopped at a Fred Meyer store. Never been in one before, but it’s a huge Kroger “super store” so we stocked up on supplies. This afternoon we are doing some housekeeping chores and basically getting the RV organized. Traveling a lot of miles several days in a row makes havoc on everything else. 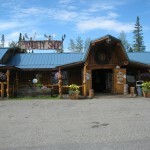 Tomorrow we will spend the day in Fairbanks doing some sightseeing. We have scheduled a riverboat excursion tomorrow morning and we’ll go panning for gold tomorrow afternoon. Luckily this RV park has arranged for shuttles to pick us up for each excursion so we so we won’t have to drive the RV. Hi..been busy working but sure enjoy catching up with your trip! Especially the visit to Don’s family there. Anyone who makes canoes is tops in our book! This is one of Werner’s dream to make a strip canoe. The pics are so funny of you! Keep having fun and we are all enjoying your journey!